By Cory -- Up next has got to be the least likely candidate in the 1999 Honda line up to be modified. This four door hatchback should get down the road as quick as any civic “bubble”, but it successfully pulls off the sleeper look and wouldn’t be out of place hauling groceries. 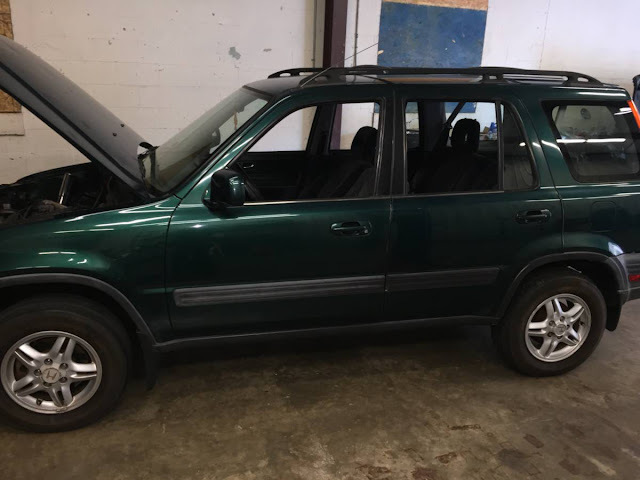 Find this 1999 Honda CRV turbo here in Berlin, CT for $3200 via craigslist. Things get very interesting under the hood. 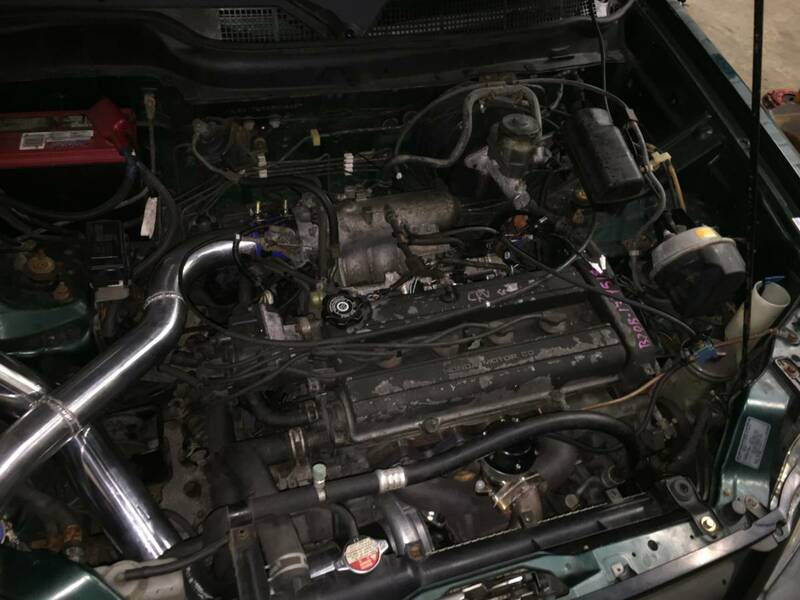 Our CRV’s JDM B20B engine has a home brew turbo charger set up added. 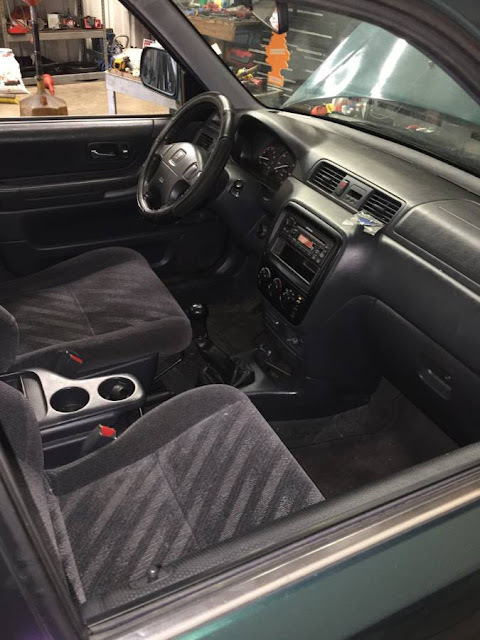 It is said to run like a stock car and the AC will cool you down on the hot summer import nights. The CRV has the enthusiasts 5 speed transmission that is backed up by a 6 puck clutch. All wheel drive will help get all the forced induction power to the pavement. These first generation mini SUVs only tip the scales at 3100 lbs so this should have an appealing power to weight ratio. Like all late model Hondas in the northeast, the ad mentions enemy number one- rust. 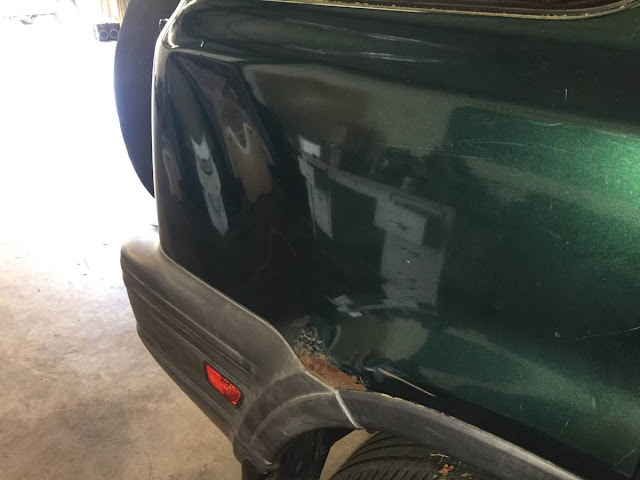 The rear arches are starting to show rust bubbling and possibly rot. This thing scores 10 Quallaludes on my Evil Sleeper-O-Meter.